This manual aircraft tug has a small 4-inch wheel. 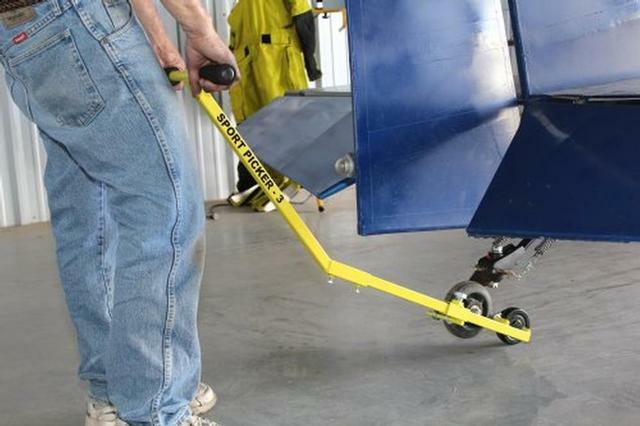 This LSA Sport Picker-3 tailwheel tug is great for years of use with almost all LSA-(only) tail dragger aircraft. The wheel is small for tight clearances, portability and has a medium capacity just for smaller aircraft. Easily comes apart "by hand" for stow-a-way in small aircraft. It's a "take it with you" tow bar.